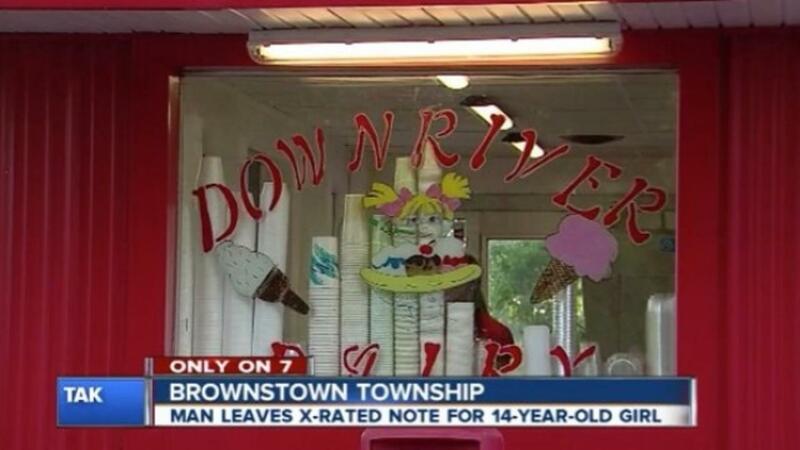 ​​​​Police in Michigan say a man watched a 14-year-old ice cream stand worker for over an hour and then left her an obscene note. "It was this in-depth, very graphic — I'm sorry — detailed of what this pervert wanted to do to my 14-year-old baby girl," the girl's mother told WXYZ. WXYZ say the man identified the 14-year-old in his note by what she was wearing and said he wanted to make pornographic films with her. The note was written on a napkin and posted on the ice cream stand's door. Police called the number on the napkin and told the man to stay away from that ice cream stand. No charges have been filed, but police are still investigating the note. The 14-year-old's mother told WXYZ she tracked down the man, who she said is in his 50s or 60s. If Philando Castile followed traffic stop rules, why was he shot?